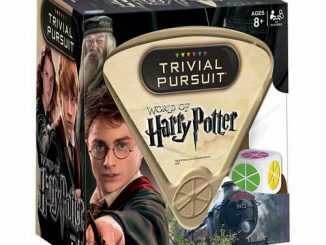 There already was Harry Potter Trivial Pursuit from a few years ago, but now there is Harry Potter Ultimate Trivial Pursuit. 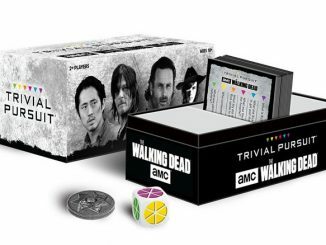 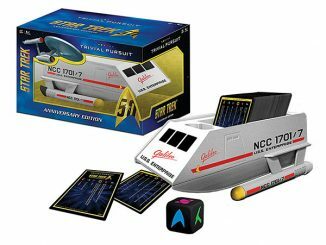 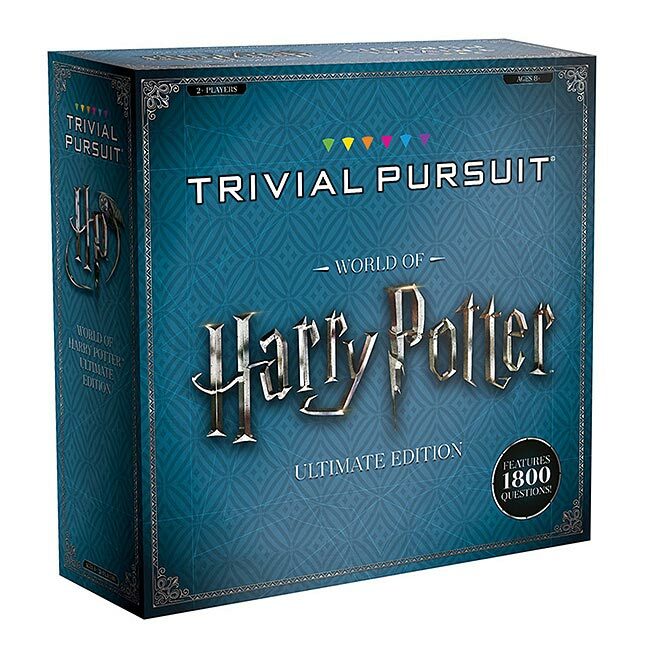 As the name implies, this Ultimate Edition is far bigger than its predecessor with 3 times as many questions (1800 vs. 600). 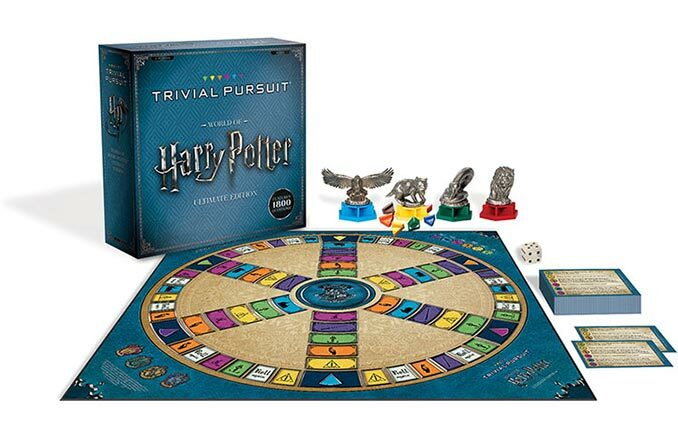 That’s just the beginning too because this version has a custom game board, 4 custom House mascot movers, and much more. 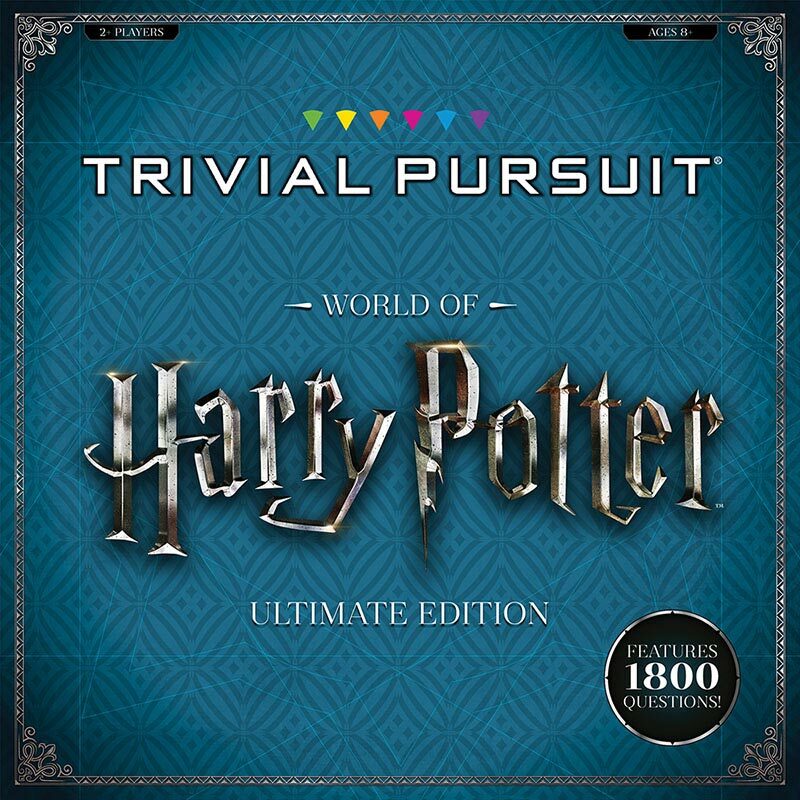 Harry Potter Ultimate Trivial Pursuit features 1800 questions to test your knowledge of all 8 films with categories that include: Spells, Potions and Other Magic; Slytherin House, Death Eaters and The Dark Arts; Witches, Wizards, Ghosts and Muggles; Objects & Artifacts; Animals, Magical Creatures and Magical Beings; and Hogwarts, Other Locations and Transportation. 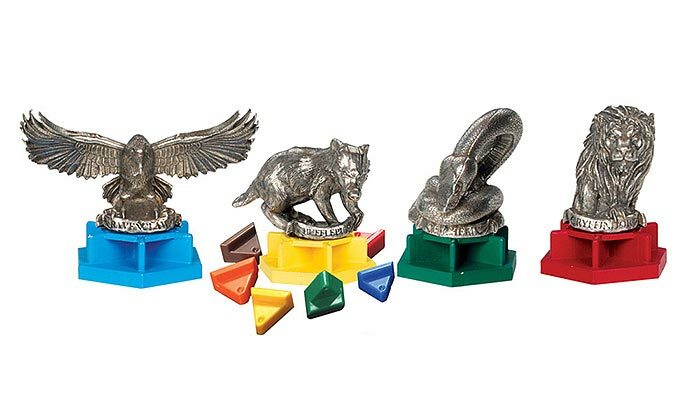 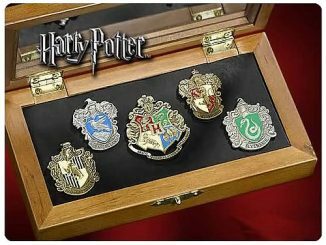 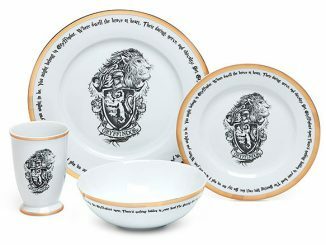 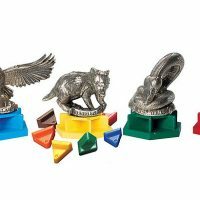 There are 24 wedges to help you track your progress and they fit inside four custom sculpted House mascot movers: the Gryffindor Lion, Ravenclaw Eagle, Hufflepuff Badger, and Slytherin Serpent. 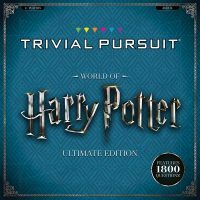 If you thought that was a challenge, try taking on all your favorite Muggles in a challenging game of Harry Potter Ultimate Trivial Pursuit. 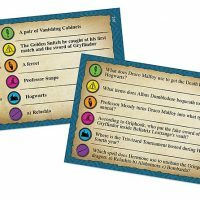 No Invisibility Cloak or Marauder’s Map will help guide you through this game. 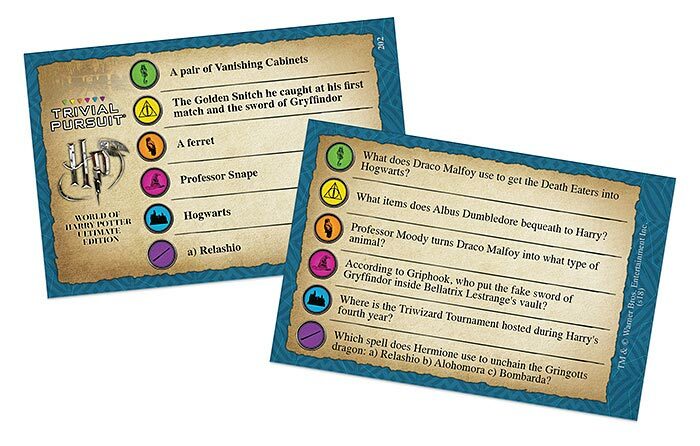 You will have to use your knowledge of Harry’s world and adventures alone. 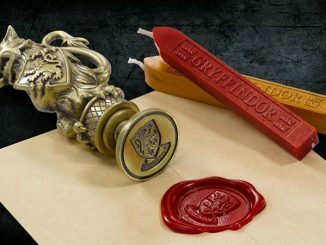 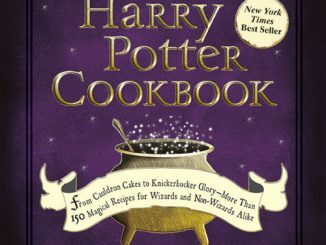 You will have hours of fun answering 1800 questions based on the films in six challenging categories: Slytherin House, Death Eaters and The Dark Arts; Objects & Artifacts; Animals, Magical Creatures and Magical Beings; Witches, Wizards, Ghosts and Muggles; Hogwarts, Other Locations and Transportation; and Spells, Potions and Other Magic. 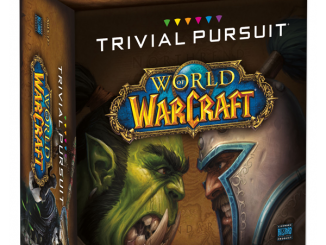 Think you’ve got what it takes? 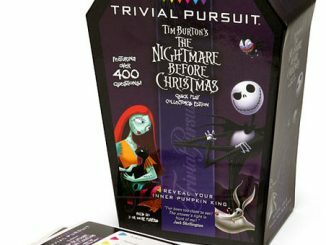 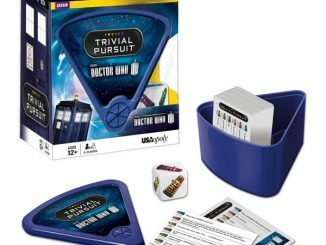 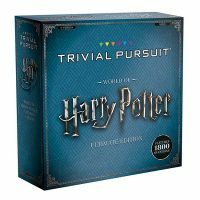 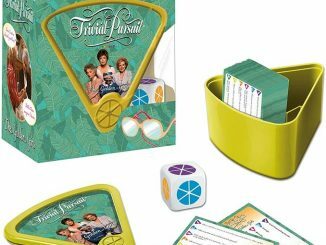 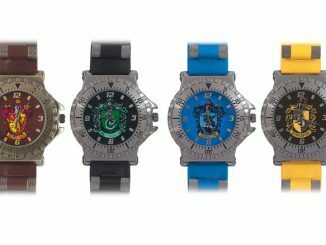 Buy Harry Potter Ultimate Trivial Pursuit for $49.95 at ThinkGeek.